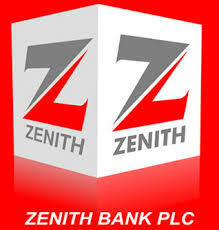 The inaugural edition of the NFF/Zenith Bank Future Eagles Championship ended on Monday with the South West intermediate team and the South East junior team emerging victors. South East U13 boys defeated their counterparts from South South 4-2 in the final of the junior competition that preceded the intermediate final at the Onikan Stadium, Lagos. In the U15 final, South West left no one in doubt as to its ability with a 2-0 win over the U15 squad from the South East. The finalists emerged after a four –day round –robin finals that took place at the Otunba Dipo Dina International Stadium, Ijebu-Ode. In the U13 category, South West pounded their mates from North Central 3-0 to finish in third place, but North Central showed commendable determination to take third place in the U15 competition with a 4-1 whiplash of South South. NFF President Amaju Pinnick, 1st Vice President Seyi Akinwunmi, NFF Executive Committee member Sunday Dele-Ajayi and the National Technical Director, Mr. Bitrus Bewarang were among dignitaries who graced Monday’s grand finale. There were also Chairman of the Ogun State Football Association, Alh. Ganiyu Majekodunmi, Chairman of the Kwara State Football Association, Alhaji Busari Ishola and former Nigeria international Edema Fuludu – the last two also being members of the NFF Youth Football Committee. Akinwunmi, who is Chairman of the NFF Youth Football Committee, told thenff.com that he was delighted not only with the successful conclusion to the inaugural edition, but also by the high number of talented young ball jugglers that have been discovered. “With the successful end to this first edition, I am pleased to say that our youth development policy has gone into full flow. We will work hard at this and ensure that the players who are selected are well –monitored and appropriately groomed for future challenges as Nigeria’s U17, U20 and Super Eagles stars. Players like Wale Musa Ali, Elvis Onyeze, Wisdom Udam, Muideen Adefowope (South West), Chijioke Obi, Amos Emmanuel and Divine Nwachukwu (South East) dazzled in the final of the U15 competition.